Governor Yahaya Bello of Kogi State has imposed an emergency 24 hours curfew on five local government area of the state. If you live in five Local Government Areas that make up the central senatorial district of the Kogi State, you will have to stay at home until Friday morning. 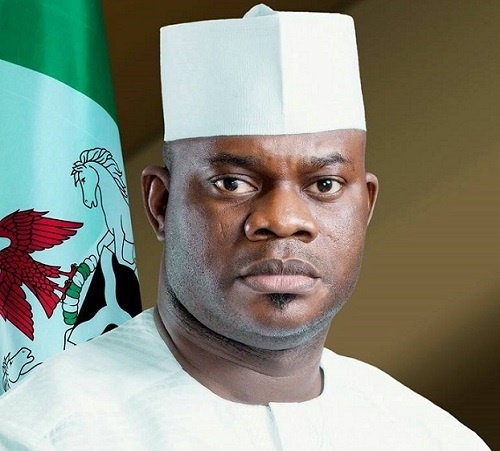 The Kogi State government on Wednesday declared a 24 hours curfew in the five Local Government Areas - Adavi, Ajaokuta, Okehi, Okene, Ogori/Magong. The curfew was made announced in a statement by the spokesman for the Governor, Petra Onyegbule. According to the statement, the 24-hours curfew which began on Wednesday night will last for just 24 hours and will be absolute. No reason was however given for the curfew. "This is a notice of a 24-hour curfew imposed on residents of the 5 Local Government Areas of Central Senatorial District beginning from midnight. This curfew will last for 24 hours and it is absolute. No movement whatsoever shall be allowed," the statement read. It further added that "all residents of the affected local government areas are advised to comply by this directive, as anyone who runs foul would have themselves to blame. "The government regrets every inconvenience this might cause and assures citizens and residents this decision has been taken in the best interest of the state". Though, there was not a specific reason for the urgent development, but the declaration pointed towards serious security alerts. In the past one month, insecurity has been on the rise in the central senatorial District of the state, culminating in the burning of police station, killing of security men. It climaxed last week Wednesday with the assassination of a labour leader, Abdulmumini Yakub.